Gary and Winfield were found dead July 1 in their remote Happy Valley home on Olive Street. Matson's brother Roger discovered the men in bed with gunshot wounds. There was no sign of forced entry. Gary Matson, Horticulturist and Plantstogo.com Director, had an MS in Environmental Horticulture from UC Davis, and founded Matson Horticulture and Florabundance Nursery in Redding California (far northern California.). Plantstogo.com took benefit from his lifelong passion for plants and affinity for the hot climate of the northern Sacramento Valley (he's been called 'Lizard Man'). Gary was recognized locally as an expert in successful gardening in the challenging valley climate. He has taught a wide variety of horticultural classes as a college instructor, arboretum horticulturist and garden consultant. He has researched and propagated plants extensively, focusing on hot weather plants with a special emphasis on California native plants. 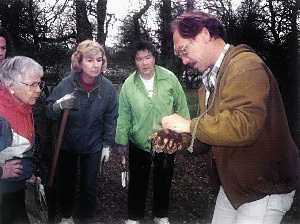 Gary also wrote about gardening for local and regional publications. 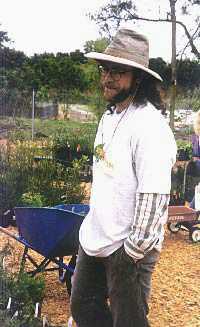 He was a long time member of the California Native Plant Society and also an ISA certified arborist. "Life Partners of 14 years, Gary and Winfield shared their love and lives in this house surrounded by olive trees. Living in peace and harmony with nature. These two very special guys, who cared greatly about Family, Friends, their community and worked tirelessly to make it a better for all who lived in their neck of the woods. And they did just that, earning the love, admiration and the respect of all. All except two men, who had only hate in their hearts for anybody who was gay or jewish. Two men who took that hate to the extreme and robbed the world of these to wonderful people shooting them to death in cold blood. With no concern for the loss or pain so many would feel by not having Gary Matson and Winfield Mowder in their lives. It never seems fair that two wonderful people are taken from us so suddenly and these two killers remain to walk among us. What has been called a random act of violence on gay people, has become constant in the lives of gays and those who love and care for someone who is gay. The hate mongers who believe hate, violence and killing those they hate go hand in hand. And gays are those who remain targets in in their killing zones. Sadly, Gary and Winfield unknowingly wandered into their killing zone, their own home wasn't a safe haven form hate and violence." "Who was this guy, Gary Matson? Of course, I don't know. But I look around me and I see many of his faces. I see many of his qualities reflected in this community which he taught and which taught him, which he loved and hated at times, which he interacted with constantly and which evolved with him. Now his evolution seems to have stopped, and can only continue through the continued evolution of this, his, community. I'm sure he would want us to argue and challenge and dig deeper for that profound understanding of the universe he was seeking. He would like us to look for new patterns, rearrange our models, make mistakes and learn from them, but mainly to act, not only speak but act, to create and re-create, and re-create again and again, this community such that it reflect and be in tune with, somehow, the complexity and beauty and mystery he saw in the universe." "Gary, the brilliant idea man, the plant man, the teacher, the scientist, the writer, the wonderful friend, and above all else, the completely devoted father of Clea. Gary thought of new things to start every day! He would start things and then allow the rest of less brilliant and creative to help him develop them. He thought Redding needed a Farmers Market, so he got the first Certified Growers Market started. He thought Redding needed a community garden with good soil, so he got a site for the garden that has the best soil in town. He thought Redding needed a junior museum, so he started Carter House Natural Science Museum. He thought Redding need an Arboretum, so he got the idea under way many years ago - eventually leading to the establishment of the current Arboretum. He thought Redding needed a source of outstanding plants for this area, so he started Matson Horticulture. He took right to computers and started Plantstogo.com. And he cocreated Clea, our daughter, with me. She is a most incredible person. Gary and I always agreed that she is our most successful project. And Winfield, Gary's life partner and supporter. The sharply intelligent friend and supporter of all us, the craftsman, the nurturer, the partner in the nursery and Plantstogo.com. The communicator par excellence - whether as Dino Guide or hiking partner or co-worker in the family winery, excellent student, great garden advisor, and above all loving and giving coparent of Clea. The loss of Gary and Winfield is incredibly deep for our family. It is an incredible loss for the community and the world. All I can think of doing is assembling all those wonderful things we learned from them about science, the real world, plants and life and love and using those bits of knowledge to make something better or a least a little more gentle and fun on this earth." We met Gary Matson on the Internet. We knew him through his letters, filled with a lively interest in gardening and well-informed advice. Gary was a modest man; he never mentioned that he was instrumental in founding the Redding Arboretum, the Carter House Natural Science Museum and the Redding Certified Grower's Market. We only found that out later. 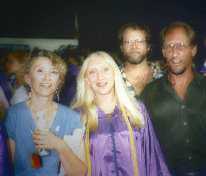 One morning, we checked our mail and read the news that Gary and his life partner, Winfield Mowder, had been killed in their Happy Valley, California home on July 1, 1999. As it turned out, for no reason but that they were gay and their murderers couldn't tolerate that. The two men accused of the crime are also accused of burning down several synagogues in the Sacramento area during the week prior to the murders. After they were arrested, hate letters identical to some found in their home were distributed to the Asian community in San Francisco's Chinatown. We were shocked and grieved both by these tragic events and by the senseless, hateful motive behind them. We wanted some way to express the positive impact that Gary and Winfield had on us and this world. So we have done what we do best and started a garden. 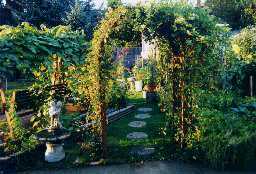 You won't find Gary's Virtual Garden growing any one place in this world - it grows everywhere. Each picture you'll find here has been contributed by a gardener or an artist, in his memory. Gary Matson's life was dedicated to horticulture, to nurturing growth, balance, and beauty. So is this garden. Let us walk in it together, in peace.